Some people get into scrap metal recycling to make a bit of extra cash. Others get involved because they are looking for a good way to clean up their home, storage areas or business. However, regardless of how you got into the business of scrapping, once you see how easy it is to make money recycling scrap metal, it’s hard to walk away. In today’s downturn economy and job market, the scrap metal industry has become one of the most popular recession proof businesses around. “Recession proof” means that the industry will continue to thrive and grow regardless of the state of the economy. While the market rate for various ferrous and non-ferrous metals can fluctuate, the standard market rate for metals will always stay relatively the same. The scrap metal business is more reliable than other industries. It’s not like selling high end hot tubs or speed boats, things people would like to have, but can’t always afford to buy when the economy takes a dive. The scrap metal industry has been around for generations and will continue to grow as demand for recycled metal products increases. Right now due to an increase in construction and industry in countries all around the globe, prices for scrap metals like copper, aluminum and steel are much higher than they have been in years past. To become a true scrapper, someone who makes a living by recycling scrap metal, you will need to learn how to identify the different types of metals in order to evaluate their value and separate them appropriately in order to maximize your selling potential. Ferrous metals can be easily identified by using a magnet. If the magnet sticks, the metal contains iron, which makes it ferrous. If the magnet doesn’t stick, it is likely a non-ferrous type of metal. Ferrous metals can be sold together at the scrap metal recycling center. If any further separation is required, the technician will let you know so you can make the most of your haul. Any non-ferrous metals that you identify must be further examined and separated. The more work you do in separating all of these metals, the more money you’ll make at the scrap metal recycling center. This is one of the ways to ensure that you get the best prices for scrap metal in Southeastern Massachusetts. Novice scrappers will just bring it all in a single mixed up load. 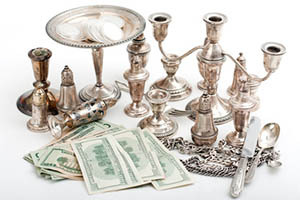 Experienced scrappers know how to identify various metals and will sell them accordingly. Another way to boost your haul is to actually take pieces apart from one another in order to increase your payday. For example, if you have a nice piece of copper pipe, but it has steel bolts attached to it, remove the bolts and throw them in with your ferrous metals. Then you can get the total weight of copper pipe without getting dinged for having mixed or “dirty” metals in together. Another characteristic that separates the novice scrapper from the experienced scrapper is the way they approach their business. Getting serious means moving beyond hitting up friends and neighbors for scrap or trolling the curb on trash night. Serious scrappers know how to work the local Penny Saver and Craigslist ads to offer FREE pickup service for appliances, construction waste and other metal-based items that can be recycled for cash. A serious scrapper should have business cards that can be handed out upon pickup of scrap metal to get the word out about your services. They can also be used for return calls from residents and business owners for other removals in the future. It isn’t difficult to make money recycling scrap metal, but you’ve got to be willing to put in the time and effort it takes to learn the business and make the connections necessary to make a decent living. Consider getting a website. Even just a basic website with information about you, your scrap metal recycling pickup services and a contact number or email address can make a world of difference. Show pictures of your truck and consider putting your own photo up as well so people will begin to identify you with your services. Bring all of your scrap metal recycling to Mid-City Scrap Iron & Salvage in Westport, Massachusetts. Mid-City does a lot of volume scrap metal processing and will give you a fair market rate for your scrap metal. Mid-City has been in the scrap metal industry since the 1930s. It is a family owned and operated business that you can rely on to help you make money recycling scrap metal in the Southcoast area.